Farmer Evan Ryan could be a modern cousin of Johnny Appleseed. In the folk story, Johnny wanders across the country with a bag of apple seeds and plants them wherever he goes. While Evan doesn’t wander around planting seeds in the Maui countryside, he confesses to being an inveterate seed collector and educator. Farmer Evan Ryan talking about seeds at Omaopio Greenhouse. At a seed saving workshop at the Omaopio Greenhouse, Evan explained why seed saving is important and gave advice to both new and experienced gardeners. 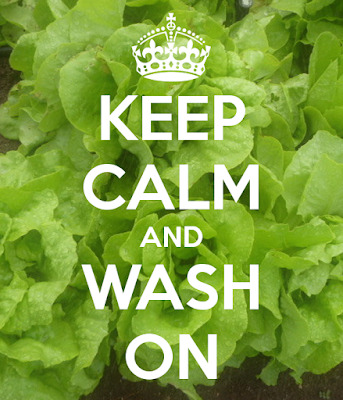 Keep Calm and Wash On. I’m ruthlessly washing lettuce leaves, checking each leaf, massaging it in running water, turning it over, washing it again. Washing the base of the leaf, and removing any brown spots or spoiled edges, then washing it again for good measure. Maybe there’s a room in purgatory where people like me wash lettuce leaves endlessly, trying to wash off any traces of slug or snail slime or even baby slugs. “No time for slime” is one of the catch phrases for preventing rat lungworm disease, which can be contracted by eating contaminated produce. 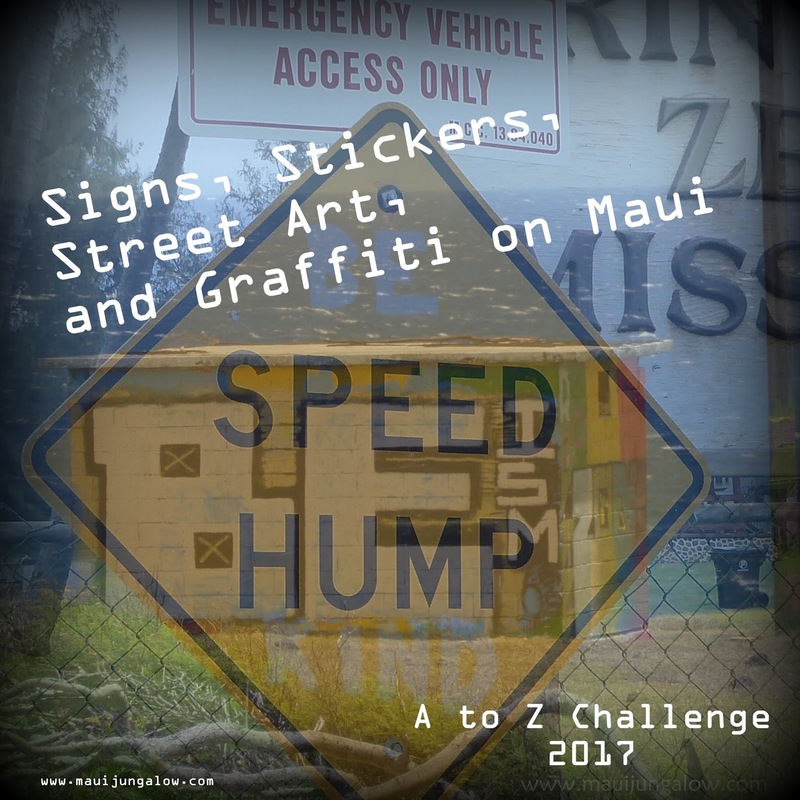 Reflections on the A to Z Challenge 2017 and FAQs about the "Hookipa Pillbox"
Pictures. Grr. I remember one A-Z Challenge – maybe it was last year – where I was looking for a particular photo for a blog post. I knew I had taken it but couldn’t remember which folder it was located in, or if I had tagged it, or renamed it, and I spent hours looking for this one photo. 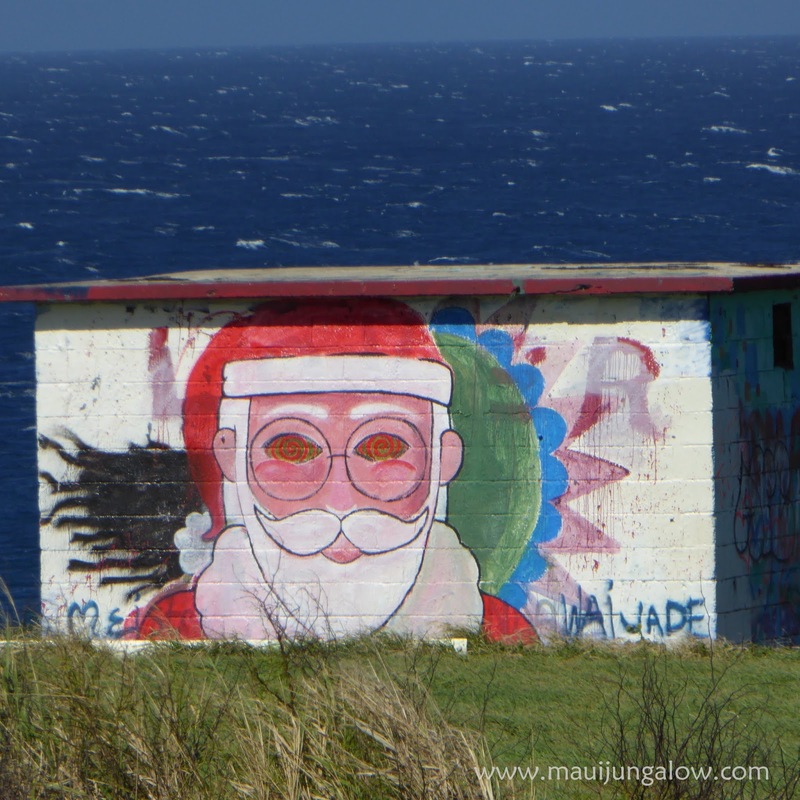 In the effort to find it, I spent more hours looking for the photo than writing the post and formatting it. A few months later, I found the photo. Since then I’ve spent a lot of time naming and organizing photos. It’s not a perfect system, and there are probably things that I still can’t find. 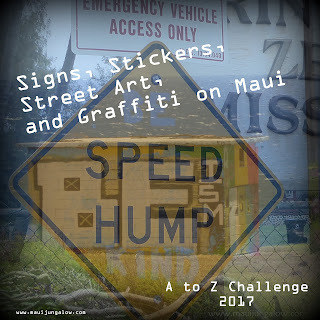 This year, I had planned to do a very different theme for the A-Z Challenge, but didn’t have enough time to do the research much less the writing! As April loomed closer, I realized I had several dozen photos of street art, graffiti, random painted words, vanity plates, and stickers on signs, and that I might have enough to get 26 letters of the alphabet. 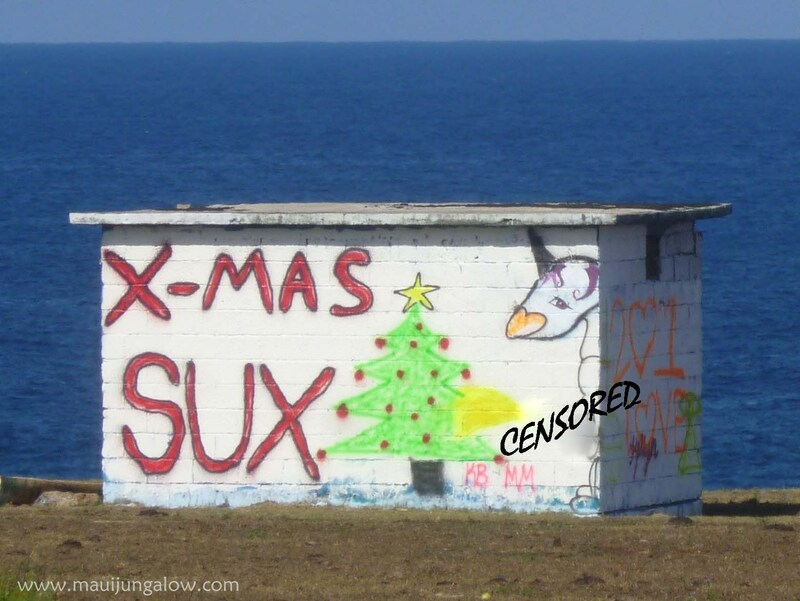 Originally I planned to give them all equal treatment, but as I sifted through photos, decided to feature an old WWII bunker facing the highway along Maui’s north shore.